This post continues the thoughts from my previous post on Discussing the Church. It is the second in a series of posts that will consider how the church has thought about its role and membership in history. Throughout the history of the Christian church, there have been several ways in which the church has understood its role in society. At times, it was a persecuted group on the fringes of society. Other times, it was a dominant institution with influence in many areas of daily life. This post will explore how the ideas about the primary role of the church has changed over time. The early church was in many respects a missionary movement. The book of Acts reflects the efforts of the Apostles to preach the Gospel “in Jerusalem, and in all Judea and Samaria, and to the ends of the earth.” (Acts 1:8) Although the book of Acts focuses on the life of Paul, many early Christians took part in the effort to spread Christianity. The early church was not under constant persecution. In fact, the early church enjoyed protection as a result of being identified as a branch of Judaism. The Roman government had made several important concessions to the Jewish communities and extended these to the early Christian congregations. These protections made it easier for Christianity to spread within the Roman empire. As tension increased between Jews and Christians, these protections for the early church slowly faded away. After the Jewish revolt was quashed by the Roman army in 70 AD, there were no longer any practical protections for Christians. Despite the broad acceptance that the church received from Roman authorities, the church did face local troubles. It is likely that some of the references to persecution in the New Testament letters refer to local uprisings against the church and not to broad persecution within the Empire. These periods of persecution probably arose from a number of root causes, including misunderstandings of Christianity, religious jealousies, and economic concerns. One example of local persecution is the riot in Ephesus that is reported in Acts 19. These local persecutions were probably precursors for the imperial persecution that the church faced under Nero (ruled 54-68 AD) and Domitian (r. 81-96 AD), and in later periods under Septimus Severus (r. 193-211 AD) and Decius (r. 249-251 AD). Even in the midst of these persecutions, it appears that the Church saw itself primarily as a missionary movement. While it took serious steps to fight off heresy, the church continued to focus on spreading its message. It was in its effort to combat heresy that the church began to to establish itself as an institution with authority over doctrine. 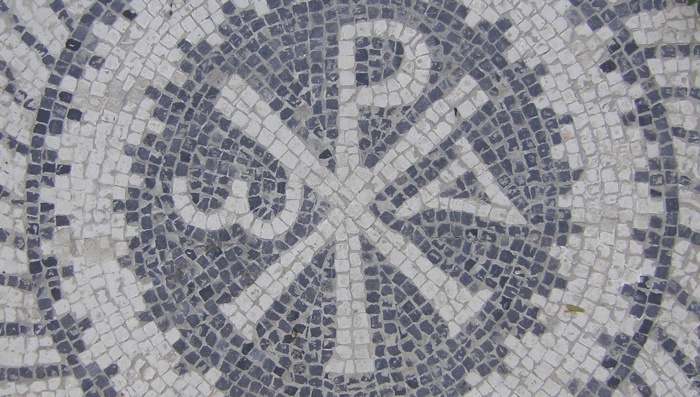 As Christianity spread, local beliefs began to mix with the Gospel. One of the first movements that the church had to combat was gnosticism. In response to the gnostic challenge, the church relied on the bishops within the Church and the Scriptures as evidence of the true teaching of Christ. While the gnostic movement was very diverse, many gnostic teachers sought to blend elements of dualistic mystery religions with the teaching of Christianity. Gnostic-Christian sects would use the terminology of Christian belief, but would associate it with their own teaching. A significant amount of gnostic literature claimed to be written by the apostles and to be holy scripture. In response to the gnostic challenge, the church relied on the bishops within the Church and the Scriptures as evidence of the true teaching of Christ. The fact that some bishops had served under the apostles made them an authoritative source of teaching. Because the gnostic teachings had not been passed down to the bishops, the Church could be sure that they were not valid teachings of Jesus. Another challenge to the teaching of the Church came from Marcion. Marcion had been within the church, but accepted dualistic beliefs, similar to those of the Gnostics. At the same time, Marcion held anti-Semitic views. In order to develop his views, he developed a set of written scriptures which he claimed were authoritative. 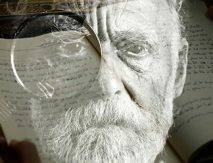 In editing his scriptures, he removed anything that he perceived as favorable to Jewish belief. In response, the Church began to formalize its view of which books were canonical. It is important to note that the current books of the New Testament had already been received as authoritative by most churches. This was not the creation of a canon from scratch. Rather, it was the formalization of a canon that was widely accepted. For the sake of clarity, it is important to remember that the church did not cease to be a missionary movement. Instead, the role of the church as the authority for teaching and Scripture grew as an important part of the missionary endeavor. In addition, the church was not a centralized authority. At this stage, the bishops largely had authority within their own region and cooperated with each other. There is no evidence of a centralization of authority in one bishop. The Christian faith would soon face dramatic changes. At this point, it was still a minority movement within the Roman world. In the next post, we will consider the vast changes that took place with the rise of Constantine to Roman leadership.